코렉스 에스피비 2호 ~ you may never be able to decipher what this is ? ; yet the topic of the day is interesting for a Marine Insurer, trying to know of the prime mode of transit – sea and the vessels that carry the cargo that we insure. From Bay of Bengal seen in Marina, Triplicane, Chennai ~ the Arabian Sea of Mumbai was slightly different. On the northern side of Indian Ocean, bounded by Pakistan and Iran, Somalia, Arabian Peninsula and India lies the Arabian Sea. Its vast with a total area of 3,862,000 km2 (1,491,000 sq mi) with maximum depth is 4,652 metres (15,262 ft). The Arabian Sea has been crossed by important marine trade routes over centuries. 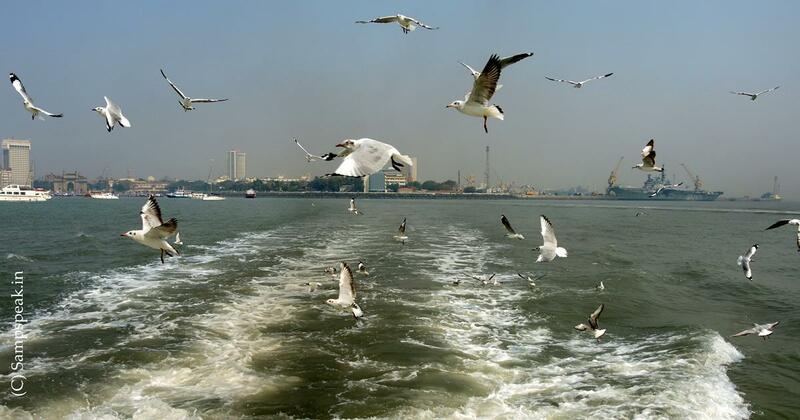 Our recent voyage from the jetty near the iconic Taj Palace Hotels i.e., the Gate way of India was really interesting. As we sailed, there were hundreds of sea gulls and sadly some were feeding them fried packed food, which perhaps will only do them harm. For those interested in Marine and insurance, it was indeed a great sight as the boat passed so many ships in close quarters. Of the many – this big vessel was indeed an attraction. It was no ordinary ship ~ but a special ship capable of transporting non-descript heavy cargo – that could project cargo too. Such specialized ships could be subdivided in categories such as Project cargo ships, open deck cargo ships, dock ships and semi-submersible ships. The carriage has to be planned with minute details as the cargo carried could be quite heavy, over drawn size and with weight distribution not so centered. This is no post on the Sea, this particular ship but on its identification. 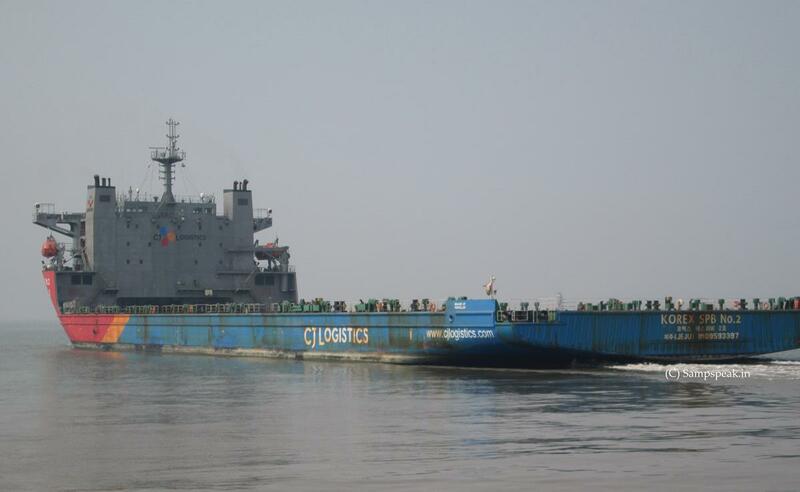 From close quarters and from this photo, one could easily observe – the ship name as Korex Spb No. 2 and it bears a number too – IMO9593397. It is comparable to the Registration No. of the Motor vehicles that we own or see on the road, from which one can identify the State, ownership, class of vehicle and more. This IMO No. is much more as it is International in nature and identifies a big ship without any confusing details with another. Sure you have heard and read of IMO – the International Maritime Organization, earlier known as the Inter-Governmental Maritime Consultative Organization (IMCO) until 1982. IMO was established in Geneva in 1948, and came into force ten years later, meeting for the first time in 1959. IMO, headquartered in London, United Kingdom, the IMO is a specialized agency of the United Nations with 170 Member Statesand three Associate Members. The IMO's primary purpose is to develop and maintain a comprehensive regulatory framework for shipping and its remit today includes safety, environmental concerns, legal matters, technical co-operation, maritime security and the efficiency of shipping. 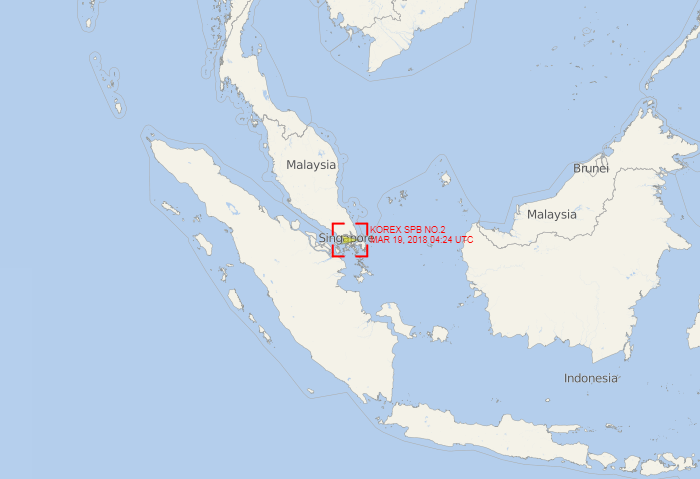 As could be seen from this Corex vessel identified as : IMO9593397. This is known as IMO Ship Identity. As you would know, the name of Ship can be changed, the ownership can change, so also the flag of Registry i.e., where the vessel is registered but this IMO number will not change. This IMO No. would remain unchanged upon transfer of ship to other flag(s) and would etched through its lifetime incorporated in the Ship’s Certificate which has been made mandatory under SOLAS. The IMO ship identification number scheme was introduced in 1987 through adoption of resolution A.600(15), as a measure aimed at enhancing "maritime safety, and pollution prevention and to facilitate the prevention of maritime fraud". It aimed at assigning a permanent number to each ship for identification purposes. That number would remain unchanged upon transfer of the ship to other flag(s) and would be inserted in the ship's certificates. When made mandatory, through SOLAS regulation XI/3 (adopted in 1994), specific criteria of passenger ships of 100 gross tonnage and upwards and all cargo ships of 300 gross tonnage and upwards were agreed. The implementation of the scheme became mandatory as of 1 January 1996. In 2013, IMO adopted resolution A.1078(28) in order to allow the voluntary application of the IMO Ship Identification Number Scheme to fishing vessels of 100 gross tons and above. SOLAS regulation requires ships' identification numbers to be permanently marked in a visible place either on the ship's hull or superstructure. Passenger ships should carry the marking on a horizontal surface visible from the air. The IMO ship identification number is made of the three letters "IMO" followed by the seven-digit number assigned to all ships by IHS Maritime (formerly known as Lloyd's Register-Fairplay) when constructed. The IMO No. is assigned to the total portion of the hull enclosing the machinery space and is the determining factor, should additional sections be added. The IMO number is never reassigned to another ship and is shown on the ship’s certificates. The Company which provides the IMO Ship No. is - IHS Fairplay (IHSF), the sole authority with responsibility for assigning and validating these numbers. The Numbers are issued from the global maritime databases maintained by IHSF and consist of a unique seven digit number. IHSF manages this Scheme on behalf of the IMO. In the 20 years since the introduction of the Scheme, the IMO Ship Number has become a universal public reference for ships, and continues to be the unique ship identifier adopted in new systems, such as AIS and LRIT. Further to the permanent and visible marking on the ship, the IMO no. is to be marked on plans, manuals and other documents too. The IMO number is never reassigned to another vessel. 코렉스 에스피비 2호 : - is the name of the ship written in Korean language perhaps .. .. Interesting ! !